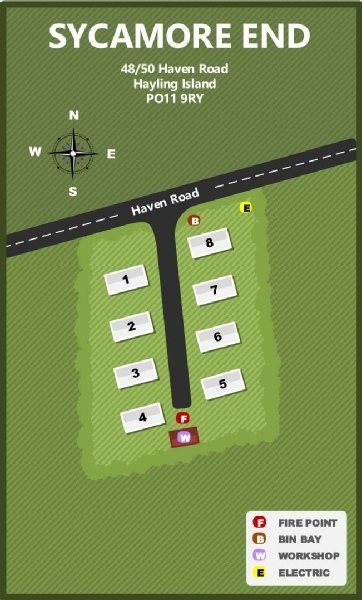 Turn right onto Haven Road & continue for 0.1 miles. 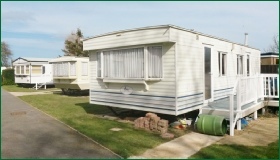 Sycamore End Caravan Park is on the right hand side. The pitch fees for the 2019 season are £2,240. They comprise: Pitch Fee (£1,654.17), 20% VAT on Pitch Fee (£330.83); Rates (£175.40); Water & Sewerage (£37.10); and 20% VAT on Rates, Water & Sewerage (£42.50). Discounted £2,180 (a discount of £60 is offered to customers who pay the pitch fee in full before 1 March 2019). Direct Debit (eight monthly instalments of £280 from 1 March to 1 October 2019 inclusive). Sycamore End is a small private park in the middle of Sandy Point.